Rose Cupcake Bouquets — What the Fruitcake?! 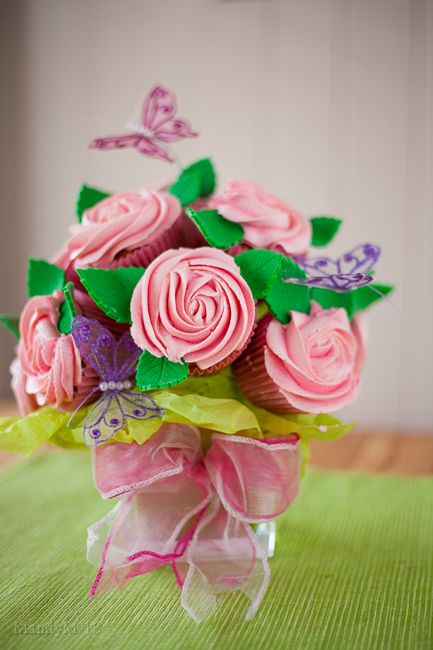 I'm sure you've seen cupcake bouquets of all sorts pinned on Pinterest or on other food blogs. 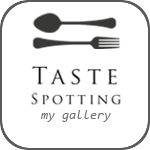 They're cute and eye-catching, and best of all, EDIBLE and TASTY! So long as you have a bit of confidence handling a fully loaded piping bag, these are really easy to make. The assembly doesn't take too long either, so if you want to impress your guests with an edible centerpiece, this is only a few extra minutes in preparation and well worth it. I've done a how-to video on two kinds of cupcake bouquets. The first is what I like to call the "lollipop" bouquet. It's a 12 cupcake bouquet that is full and round. You could make it bigger if you like, you'll just need more cupcakes and a bigger foam ball and vase. The thing about the lollipop bouquet is that it's not something you could (easily) transport. You've got cupcakes hanging off the sides sporting their swirls of frosting, and there's just no way that I can see you could move this in a car without covering the apholstery with smears of sweetness. I've called the second bouquet the "perfect gift", well, because it is! A pot or vase with only 6 cupcakes, which is far more manageable to carry and transport, is the perfect "Yay! New baby!" "Welcome to the neighbourhood" "Be my Valentine" or "Just because" gift. 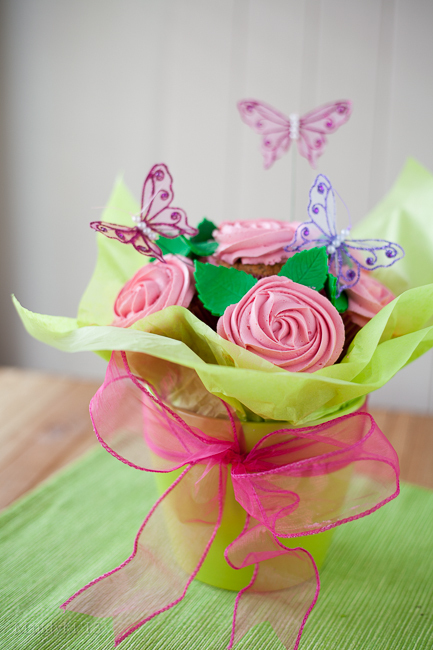 Cupcake bouquets are best made with a more dense cupcake. Remember, these gorgeous things are going to be hanging off the side of your bouquet, almost defying gravity, so they need to be sturdy enough to support their weight as well as their swirls of frosting. Also, use cupcakes made the day before, they'll be a little more firm. As for the frosting, I'd recommend any firm buttercream. I used simple buttercream, but only because I didn't have enough eggs to make my favourite Swiss Buttercream. On the lollipop bouquet, I would stay away from using cream cheese frosting. It's been my experience that it's just never firm enough and too easily affected by heat for me to use confidently for something like this. However, I think it would be fine for the six cupcake perfect gift bouquet. I hope you like the video and happy bouquet baking! Posted on February 18, 2013 by Mandy Mortimer.